In the second programme in our Good Work double bill we hear how people in pain and their families are affected by barriers to employment and support. Staff at the Health and Social Care Alliance set out how the Access to Work programme can help people managing long term conditions to overcome obstacles to getting to and thriving in the workplace. And Jason Leitch of NHS Scotland discusses the ‘Glasgow Effect’ – Scotland’s largest city’s inequalities of health and life expectancy – and how to reduce them. Paul Evans: This is Airing Pain, the programme brought to you by Pain Concern, the UK charity providing information and support those of us living with pain and healthcare professionals. I’m Paul Evans and this edition is being supported by a grant from the Moffat Charitable Trust and assistance given by the Scottish Government. Jason Leitch: There is a link between deprivation and ill health and there is an inequality therefore between the non-deprived and the deprived, for lack of a better description. People come from all over the world, unfortunately, to study Glasgow because of the Glasgow Effect – from the leafy suburbs in the West around the university and the East End where my grandmother lived all her life and where my mother was born, there is a mortality inequality of 15 years in men and even longer in women and that happens within a space of four or five miles. Evans: People living with disabilities or long-term conditions experience a 50 per cent higher rate of unemployment compared to the rest of the population. In the last edition of Airing Pain, we looked at employment or rather unemployment issues faced by people with chronic pain. In this edition, I want to find out whether financial hardship – from unemployment or living in areas of deprivation – affect the treatment those living with long-term conditions receive. Professor Jason Leitch is Clinical Director of the Healthcare Quality Unit of NHS Scotland – so if you have more money, do you get better treatment? Leitch: Absolutely not, I don’t believe, if you have more money, you get better treatment. I do believe – I think there is very good evidence – that the poorer you are, the harder it is for you to access care and the more challenging, therefore, your long term condition can be. Now that’s a general statement – there are examples of people at either end of that spectrum who are the opposite of those extremes – of course, there are. But, generally speaking, if you have a long term condition – diabetes, asthma, chronic pain, any of these – remember going forward now, most people have more than one, it is now more common to have two chronic conditions than one condition, so that changes the whole face of the way we deliver care. If you have a chronic condition and you are poor, you are likely to be treated later, you are likely to struggle more and your treatment is likely to be less effective. Now, that is not universal – so we should not condemn all of that – but there are multiple reasons for that – some of which are systems-based, inside our delivery and some of which are based inside the society. Evans: So people on low incomes, what are the barriers for them, getting good care? Leitch: I am conscious of generalising and it is a very, very dangerous thing to do in health care because there will be people listening to you who will be saying ‘I’m poor and I’m perfectly adequately treated and I am perfectly able to access care’. In general terms, people who are poor often have long-term anxieties about other things in their lives – chaotic lifestyles, families, housing that might be damp, difficulty with green space around where they live, schools – everything else that is going on in their chaotic lives, in general terms. And that makes access to ordered, systemised healthcare challenging. I could also point to middle-class house-holds with drug-addicted teenagers, with broken homes, with other general social issues where those access issues are very common as well – so don’t presume that poor means bad treatment – that is not what we are saying. But, inequalities, there is no question that particularly in our urban centres – Glasgow is the classic example – there are morbidity and mortality challenges as you get poorer. In Glasgow, that generally means, as you move east in the city, you die younger and we have known that for decades. Evans: Is education one of the major issues? Evans: Education in terms of what is available health-wise? Evans: Education isn’t just teaching, it is having the ability to find stuff – it’s libraries, it’s information in clinics, things like that. Leitch: Anything that increases the ability of a user with a long term condition, like chronic pain, to access local services for them in their locality is a good thing. So if that is about using the community’s own assets such as the shops in the street, the banks, the pubs – I don’t care – anything that increases the availability of local community assets to be able to help those with challenging conditions is a good thing. The classic example that comes to my mind is ALISS, which is fundamentally a local resource, a collection of local elements which are then available to the General Practitioners to direct individuals to. It is a direct way, it effectively says ‘there is a yoga class at 4 o’clock in that community centre; there is a prescribing help thing that helps you with chronic medication services in this pharmacy on Tuesdays at 8 in the morning, or whatever. And some of those local community assets are not known, to the healthcare professionals never mind to the communities and anyway of making that more accessible has got to be a good thing. Evans: Jason Leitch and ALISS stands for ‘a local information system in Scotland’. Kieran McGhee was an academic high flyer until chronic pain put an end to all aspirations of a successful career. He lives in the former steel town of Motherwell, near Glasgow with his three-year-old daughter and wife Anne-Marie. Kieran McGhee: It’s chronic, abdominal pain. Anne-Marie McGhee: It’s in the liver region. Kieran McGhee: Yeah, it’s kind of just above the liver. Anne-Marie McGhee: They think it is probably nerve pain of some description, probably caused by some damage from a previous illness. And, to add to that, we now have a lovely neurological disorder wreaking havoc which effectively means that the right hand side of his brain is no longer sending signals to the left hand side of his body, so he is intermittently paralysed. Anne-Marie McGhee: …and stops sending signals to the body. He worked full-time, he went to university. Kieran McGhee: mmhhmm I worked full-time, I was on a career trajectory. Anne-Marie McGhee: Doing a PhD. Kieran McGhee: Yeah, I effectively had a whole career planned in front of me and I still have, a wonderful family. Evans: Anne-Marie, you are Kieran’s wife. Are you the breadwinner of the house? Anne-Marie McGhee: I was until the start of last year and the opportunity presented itself for me to leave employment and it had become apparent at that point, that it was probably a good decision to make, for Kieran’s sake. Evans: Do you miss work? Evans: So one illness has cost two careers. Can you see yourself getting back to work? Anne-Marie McGhee: Unless Kieran’s condition improves dramatically, which we have been told not to expect that to happen, I think I am going to be probably a fulltime mum and a fulltime carer. Evans: Have you had any help in getting back to work or freeing yourself up a little bit? Anne-Marie McGhee: No. We certainly haven’t come across services, that as yet, are prepared to help us out on a day-to-day basis. Now, I went for an interview with the employment support people and they were offering very basic get back into work courses, which to be perfectly honest, given the job I was doing and the career that I did have – it seemed like, are you actually kidding me here? That seemed like getting someone back into a job where you were earning barely the minimum wage – I was earning a lot more than that – are you actually kidding me on here? I know how to write. I know how to put a CV together. I don’t need educating on English or maths and that was pretty much all you were wanting to offer me. Evans: Did you do that course? Evans: Has anybody taken into account what you are capable of or how high you could fly? Anne-Marie McGhee: No. They came across as very pleasant, but the only thing they were particularly interest in was basically, not having an additional name on a book, saying that this person is effectively a benefit claimant – that is pretty much all they are interested in. You don’t get a choice when you have to be a fulltime carer. You need to be financially supported, but you also need services in place that allow you time-out. Whether that is somebody coming into the house to make a meal for severely disabled people or if it is just simply offering access into intelligent education – education or courses that are going to you know, work your brain. Evans: It seems incredibly judgemental to assume that you are out of work, therefore, you can’t count and you can’t write. Anne-Marie McGhee: Yes. I think everything is aimed at the lowest common denominator, which sadly writes off probably 95% of those who are out of work because they have to look after somebody. Evans: What sort of process, of paperwork or interviews or whatever, did you go through to get any grant that you have. Anne-Marie McGhee: Lots and lots of filling out forms, ESA (Employment Support Allowance) was the first one and then we had to reapply as a couple for ESA and then PIP (Personal Independence Payment). The paperwork, the questions – there are literally pages and pages and pages – and they don’t always make sense. Kieran McGhee: I am university educated. I’ve got two degrees and a PhD and we ended up going to the Citizen’s Advice…. Anne-Marie McGhee: No, it wasn’t Citizen’s Advice – it was the Tax and Social Work Department for the PIP one, because it was so horrific, we got referred to them and they then went through the form with us and they then came out to the house and assessed and helped us to say – well, actually, you need help – they were brilliant! It took us, seven months to get all of the benefits that we were entitled to put into place. I dread to think how other people would have coped if they didn’t have something as a net, because you would be potentially – no income, no benefits, no housing benefit, no nothing. And it took seven months from the point of ESA being awarded to the final PIP award payment being made and I’ve heard that in some cases, PIP took twelve months to put in place. It is a damning indictment on the way that anyone with a disability is treated in this country, right now – a damning indictment. Evans: PIP is the Personal Independence Payment and there is information on how to get help with PIP applications in edition 62 of Airing Pain. You can download that and all editions from the Pain Concern website which is painconcern.org.uk. Now, Kieran McGhee’s career was over before it started but, many people with chronic pain are able to have fulfilling careers. Angela O’Neill has had chronic pain for many years. She was a nurse until two years ago when managing her condition whilst, doing a demanding job, became impossible, but as you will hear, she shares her frustrations of the system with the McGhees and many others in the same situation. Angela O’Neill: I tried to keep working as long as possible. I worked part-time. I changed my job from being a clinical nurse, a sister on a busy intensive care unit to clinical nurse teacher, which meant I was working shortened days and I was managing. But in the end, I was just pushing on and not enjoying the rest of my life. I managed my work but by the time the weekend came, I was just exhausted. I was sleeping all weekend and getting up for work again on the Monday. I worked alternate days so I was sleeping on the days in between. I was absolutely exhausted. I was having problems with my memory, which was very difficult when teaching – sometimes having fogs come over me – I don’t know whether this was due to the medication or the disease process. I began to see that I couldn’t do the job that I was supposed to be doing and I thought I was in a dangerous position, looking after people’s small children. So I decided that it was time to retire from my work, my job. It was the hardest decision of my life – nursing was me and I found it very difficult to think that I wasn’t going to be a nurse any more. I kept my registration until just recently because I always thought that there might be a chance that I would go back. I thought that I would miss it so much. Evans: Did you have to go through all the processes, the assessment processes? Evans: What do you mean? O’Neill: I had been off work, coming up to six months. I had to sign on and go to the Job Centre and have interviews on how to write a CV even though I was intending going back to my job, back to my own work – I was asked to attend to make a CV. I had been in the same job for 37 years and never had a CV. I didn’t really understand why I needed to have a CV when I was going back to my own job at the time. And then I had to attend an interview in Glasgow which was very intimidating – it was a medical by somebody that didn’t speak very good English. It was absolutely awful and then at the end of it, they said that I was fit to work. I knew that I was fit to work but I wasn’t fit to do the job that I had been doing and I was waiting to get my health back following surgery so that I could return to work, so having all these interviews was very distressing. I think if I had to have to go through that process again, it might have been a difficult decision. Evans: Did you feel in some ways, that you were a grey person, a box on a tick sheet if you like? O’Neill: Definitely, I had to keep attending the job centre even though I’d got a job, the Works and Pensions Office, places that I had never been before. It was just so difficult, not feeling well and having to go through that. It was very difficult for my husband as well, who took me – he was very angry, he felt intimidated and when I came out sobbing – I am not a person that cries very easily and I came out of the office absolutely sobbing – he just was really upset and frustrated by the whole process. Evans: That’s Angela O’Neill. I’ll just remind you that, as always, while we at Pain Concern believe the information and opinions on Airing Pain are accurate and sound based on the best judgements available, you should always consult your health professional on any matter relating to your health and wellbeing. He or she is the only person who knows you, your circumstances and, therefore, the appropriate action to take on your behalf. 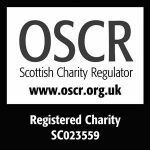 Now, if as has been stated there is a link between deprivation and ill health, as in the so-called ‘Glasgow Effect’ – could third sector organisations, that is charities like Pain Concern, in fact – help break that link. Here’s Clinical Director of the Healthcare Quality Unit of NHS Scotland, Jason Leitch again. Leitch: I am a big supporter of the third sector. I spend quite a lot of my time visiting the third sector organisations and I am trying to boost that community asset approach inside those local communities. But there is a challenge and the challenge is variation in delivery. So, in Glasgow, the last time I checked, there were 86 organisations dealing with addiction. Now, they are all very worthy, I know them, some of them quite well – I have a personal family connection to the Glasgow City Mission, for instance, which deals with homeless people, some of whom are addicts – so that is a very worthy thing. The Salvation Army is round the corner, again dealing with homeless, dealing with addiction. Eighty-six of those organisations! That needs some level of coordination. And I think that the Scottish Government and the mainstream healthcare system has to be that coordinator or we are going to end up with – I was going to say ‘chaos’, but that is not quite what I mean – we are going to end up with variation in the delivery for different pieces of society and different geographies and that can’t be good. I am really, really pleased that things like the Glasgow City Mission exist – they are really important for a community and they can help us because, the health service can’t do it all, it’s impossible. Somebody estimated that the free care bill that we don’t pay for as billions of pounds, so we require that to exist. My concern is that it sometimes feels a little uncoordinated. Evans: It seems to me, that with 86 different organisations, each clambering for the same penny, for the same pound – it needs somebody to bring everything together. Leitch: So that would be the other extreme. So one extreme is let all 86 flowers bloom and do as you please – the other is no, no – we’ll have one thing, we’ll bring them all in, we’ll tell them all how it is and we’ll make them all sign a memorandum of understanding and they’ll do it our way. Neither extreme is correct. The local people understand the local context. They understand the community in which they are working – they should be allowed to do that. But, just letting all the flowers bloom would mean that Govan would get a different service from Springburn and we should avoid that if we possibly can. So it is a balance and the leadership element from the Scottish Government is that we should understand that context as best we can, we should fund it appropriately, we should fund it fairly, but allow the local contexts to build their own services. So that would be allowing the local community to decide what is it we need in this geography – is it a soup kitchen? is it a chronic pain thing? is it a yoga class? That should be able to be locally adapted with an overall leadership frame from us that says assets are important, quality is important, patient safety is important, long term conditions are important. Evans: So really, you want to rubberstamp the appropriateness of what is going on but should you be actively involved in, well, for want of a better word, poking your nose in? Leitch: The Scottish Government and the National Health Service and the – increasingly integrated – social care system should at some level take responsibility, for the vision, the aim, the mission. If we can’t do that in a country of our size, I am not sure what we are for. So that is why we have one system. But I am very comfortable with allowing the communities – that is giving power away, remember – that is risky – giving power away to the communities to build the services that they require. So let’s take chronic pain – it is an interesting example – not many people need residential chronic pain services in an in-patient setting, some people do, but it is a very small number – so, we nationally, should decide how we are going to do that and that is what we have done recently. We have decided on a national residential chronic pain centre. So that is the national thing, I and others like me can make those kind of decisions. As that chronic pain is in the community, as the severity of it is variable – much of that will have to be delivered locally – I can’t design each of those local services – that is impossible. So those local services have to be designed by the users, by the clinical staff, by the third sector within those local communities. Now, that is quite difficult – you can’t have board meetings for each of those elements – so you have to find a way of allowing those community assets to grow in a reasonable way, you have to fund them, if you can, appropriately and allow some kind of umbrella organisation like yours or like the Alliance to provide some kind of accountability and governance for that process. Evans: That is Jason Leitch. The ‘Alliance’ he referred to is the Health and Social Care Alliance Scotland. Andrew Strong: My name is Andrew Strong, I am Policy and Information Manager at the Health and Social Care Alliance Scotland which is a membership organisation of 15,000 members of third sector organisations working in health and social care, people with long term conditions and disabled people and professional associates working in health and social care – all to a shared vision of helping people with long term conditions, supporting them to achieve their right to live well. What we have got in Scotland, is a lot of areas of multiple deprivation, where people live under extreme poverty in some circumstances and there is a thing called the inverse care law where the type of health support you get in those areas is disproportionate to the amount of need. I think what we actually need to do, is to start to target some resource into those types of areas. Our Deep End project, the national Links Worker project is working in seven areas of Glasgow at the moment. That is a dedicated resource in seven GP practices to make those kind of connections into the local community, find out what types of support there are, in areas like Drumchapel, areas like Govan, to really, you know, emphasise the point that people really do need that little bit of extra support to find out what is thriving in their local community and to find out the kind of keys to living in a healthier way. Lots of people are going to the GP in those types of circumstances and ending up, not getting the types of support that they want, because the GP is very, very busy – it’s not set up at the moment to be that type of support into the local community. But, actually, if you turn that on its head and you think, well, this can be a hub for accessing those types of support, you get a lot better outcome for the money that you put in to it, in my opinion. And I think that the National Links Worker programme is coming out with some fantastic examples of changing people’s lives as a result. We have had examples of people whose families have died or people who have had suicidal thoughts, who have had a bit of additional support through the Links Worker Programme, through finding things in their local community that are there to help people, particularly with mental health problems. The Alliance is running an advocacy support programme at the moment in four areas – it is just a pilot project – but the Links Worker Programme is working with that advocacy support project as well to give people a trained advocate in benefits assessments, to actually go to the assessment with them, to explain what the assessment it going to be like. And people want that explanation, that understanding, that better type of approach, that actually understands what they actually need. Evans: Andrew Strong, Policy and Information Manager at the Health and Social Care Alliance Scotland. Now, My Skills, My Strength, My Right to Work is a project to reduce inequality, to increase participation and encourage both employers and employees to discuss openly how to create and maintain successful and sustainable employment for a person with a long term condition or an unpaid carer. Louise Coupland is the Employability Development Officer at the Alliance and she has responsibility for this project. Louise Coupland: I have an example from the past, it was a woman who suffered from MS and working – in employment. The role she was in, was support work – out and about in the community and it wasn’t her job that was causing her any problems, it was the transport she was using – public transport from seeing client A and then back on to public transport to see client B. And she felt that, it was that that was causing her anxiety and stress because bus drivers weren’t waiting until she was fully seated on the bus, it was the stress of travelling. She managed to contact Access to Work herself and they provided funding for a taxi service to be provided. That is just one example, but a lot of people, when they think of what Access to Work could provide in a workplace, they are thinking about chairs, computers and equipment, but it is a lot more than that – it is about giving people transport, flexibility as well as the equipment and everything else they might need to complete their role successfully. Evans: From success stories, the other side of that is employers being frightened to employ people with disabilities because they think it is going to cost them an absolute fortune. Coupland: When we created the campaign, employers that we contacted saw it as a recruitment issue, but it is not – it’s an employment issue – 40% of people in Scotland live with long term conditions. The majority of those will be in the working age bracket so, it is not about recruiting, it is actually supporting the employees you already have, who will possibly in the future, get a condition, or be diagnosed with a condition or several conditions or their home circumstances might change where they become an unpaid carer. And it is not about recruitment – it is actually looking at the workforce that is already out there. You know, in 2020 when we are looking at so many more carers and people with diagnosed conditions – it is going to be a real problem if people aren’t proactive in changing their mindset in what employers should provide. Evans: So, your job is to sort that out now. Coupland: We have created a campaign that has got personal stories – it is looking at the person with the condition and their employer and what support they have. The jobs are ranging from third sector organisations to the private sector and we have NHS Ayrshire and Arran on board as well by providing their case studies as well. So it is just to show people how different ways of working, that there is not a tick box sheet – it is about having conversations and being flexible around each other’s need – employee and employer – and supporting that self management and education of colleagues and employers. Evans: That simple example that you gave of somebody being frightened of using the bus because the bus drivers were pulling off – you know, that seems such an easy thing to solve, just a word in somebody’s ear. Coupland: Well, that’s it. Access to Work is quite under-used in Scotland and many people don’t understand what Access to Work can offer. I think for small to medium businesses, that they are thinking of a worst case scenario about price tags – obviously it’s the nature of the business that they run – but, it can offer a range of support services – there is the working healthcare service Scotland, which again is a helpline with people at the other end of the phone, who can offer advice. So, there are people who can be signposted to different supports, it is just many employers don’t know they are out there. Evans: Louise Coupland. For more information on the Health and Social Care Alliance Scotland, their website is alliance-scotland.org.uk. Working Health Services Scotland can be found at healthyworkinglives.com and healthyworkinglives – no gap – treat it as one word, healthyworkinglives.com. And to get details of the Access to Work scheme for England, Wales and Scotland and a separate one in Ireland – the address is too long for me to read out – so just put ‘Access to Work’ into your search engine. All the details of these links can be found on Pain Concern’s website which is painconcern.org.uk. Now, at the start of this edition of Airing Pain, the Clinical Director of the Healthcare Quality Unit of NHS Scotland, Professor Jason Leitch referred to the so-called ‘Glasgow Effect’, where people living in the poorer, deprived areas of the East End of Glasgow have a life expectancy of at least 15 years less than those living in the affluent leafy areas to the West. So if this, is an example of the link between deprivation and ill health – and not everyone agrees that this is the whole story, that other social factors and environmental issues come into play – then what is the solution? Leitch: The solution unfortunately, is societal not individual sectors. So the healthcare system can’t fix that – it can contribute to the fix – but it can’t fix it by itself. So, it is multi-factorial: it is about employment; it’s about growth; about bananas in the streets; it’s about green space; it’s about safe schools; it’s about addiction… it’s clearly about healthcare delivery, of course it is – it’s about provision of appropriate healthcare delivery in those communities, not forgetting the middle-class community requires healthcare delivery too. But, it is also about the broader elements of tackling those inequalities too in a meaningful way in multiple sectors – integrating health and social care. I saw a wonderful example recently in Perth, where they have brought together services inside a school, where there are addiction services, learning disability services, health and social care services and education all in the one campus. That doesn’t fix it instantly but at least the professionals are in the one place, talking to each other. So, there isn’t a quick fix for that – deprivation makes chronic disease worse, but we need to analyse it and work out exactly how we can.